Images, Text, and Content Copyright � 2018 by EMR LABS LLC � All Rights reserved � All Products Sold for Experimental Use Only. FDA Disclaimer: The statements and products shown on this website have not been evaluated by the US Food and Drug Administration. These products are not intended to diagnose, treat, cure or prevent any disease. Instead, those seeking information or treatment for any condition should consult a physician. 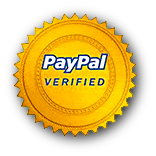 EMR Labs LLC does not provide medical advice, diagnosis or treatment, nor do we make any health claims for any of our products. Void where prohibited. Latest LED Technology for the ABPA A2 Bio-Photon Analyzer and AM3 Matrix Systems! Turn your ABPA A2 Bio-Photon Analyzer into an advanced, pulsed, high power, LED photon light therapy machine. 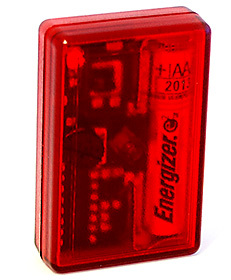 New "DUAL" 660 nm (visible red) and 850 nm (infrared) LEDs for greater power and penetration. This is a true breakthrough for ABPA A2 Bio-Photon Analyzer owners and users. Our new 2016 ABPA A2 Bio-Photon Analyzer Dual-Ray Photon Wand contains TWO LEDS in a unique "stacked" array. Never before has this breakthrough technology been available for ABPA A2 Bio-Photon Analyzer owners. $695. The newest 2018 accessory for the ABPA A2 and AM3 instruments is the Digital Media Interface (DMI). Unfortunately, the Polaroid company stopped making Polaroid 600 film that many of us depended on for our work and results. The manufacturer of the ABPA replaced the Polaroid 600 film with the new Digital Media Interface. After many prototypes, the new Digital Media Interface has reached a completed stage of development. The DMI is able to be used in all Advance Bio-Photon Analyzers models A1, A2 & AM3 systems along with all Radionics type units that previously received the Polaroid 600 film, including the SE5 as well. By simply connecting a Windows PC computer USB cable to the DMI, you can copy a single high-resolution digital photograph into the digital memory DMI, and then placing the DMI antenna array into the photograph well of the ABPA A2 or AM3, you can use the unit just like before with outstanding results. $199. The Device Interface Cable is the interface that allows you to connect an ABPA A2 or AM3 to a variety of other devices such as a GB-4000 Function Generator, F-Scan2, F-125, F-165, and many other popular units. The Device Interface Cable electronically and safely balances the input and output of both connected devices allowing smooth operation and accurate communication without damage to the delicate electronics of either instrument. $97. An attractive, protective, high-impact Travel Case to totally protect the ABPA A2 during shipping and transport. 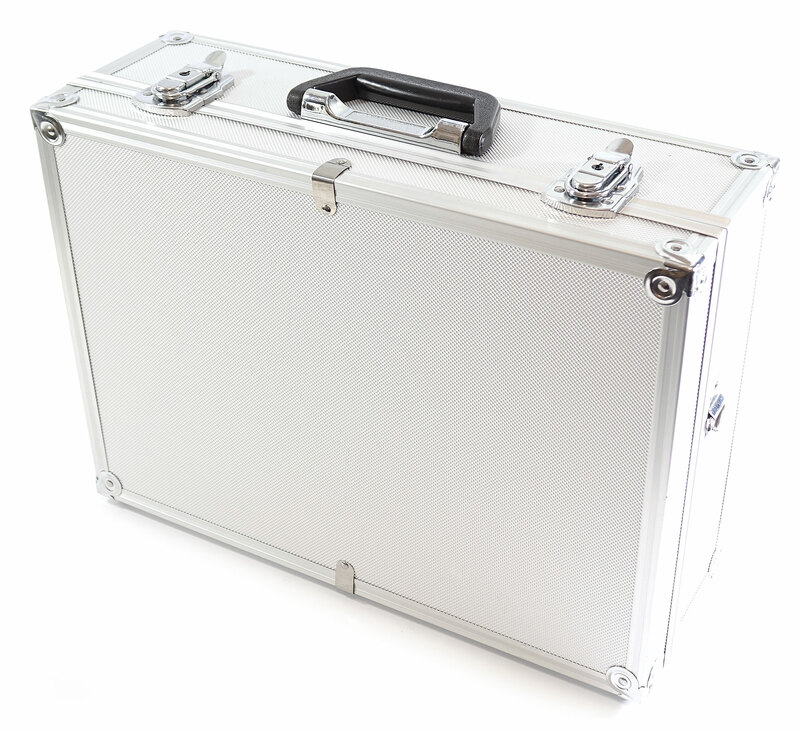 Our Locking Aluminum Travel Case is made to the highest impact and protective specifications. Size: 18" x 15" x 6"
$97. A custom-made, heavy duty, protective, high-impact Travel Case to totally protect the ABPA AM3 Matrix System Complete during shipping and transport. Our AM3 Travel Case is made in the USA to the highest impact and protective specifications. Size: 26" x 15" x 9"
$149. The Performance Personal Energetic Trainer was invented by Dr. Alan Back for the sport-minded athlete and helps to increase mental focus and clarity while keeping a larger overview of the game. Our findings tell us that this unit increased the endurance and hand/eye coordination for athletic activities. The Performance PET helps the athlete to focus on the next play and not dwell on the last play and helps to assist performance on all levels. Directions: Carry in pocket or place under pillow or bed at night. Effective range is about 3 feet. Size: 2" x 1.25" x 0.5"
$149. The Recovery Personal Energetic Trainer was invented by Dr. Alan Back to assist the energetic body forget injury or ailments that may be retained in cellular memory. It helps to overcome the mental blocks or limitations associated to the mental injury or physical ailments. The PET works by sending energetic patterns to the user's biofield to reset imbalances received by the damaged or injured area. $149. The Focus Personal Energetic Trainer was invented by Dr. Alan Back to assist in mental focus, clarity, and memory recall ability and provides the user an additional sense of positive confidence and image that he or she may not normally have. Over a period of time, the Focus PET helps to stabilize the active high-speed thought patterns of the user and has a positive effect on mental mood swings over time. $149. The Stress Personal Energetic Trainer was invented by Dr. Alan Back to assist in removal of stress that we accumulate throughout our modern, hectic day. It is designed to help remove the worry and mental turmoil from our daily routines and helps to repel those negative energies that are the cause of the majority of stress on our systems. Some users report that they feel "almost 10 feet tall and bullet proof" and that using the PET has given them a higher level of positive self-confidence that is unmatched in anything they have tried previously. $79. 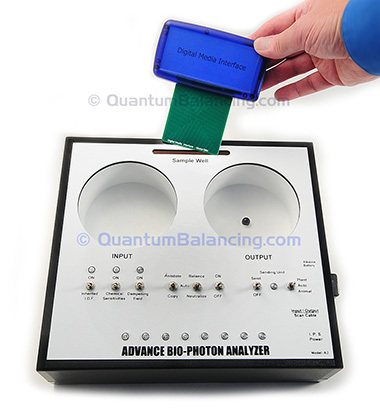 This is our very popular ABPA SENSOR Vortex Energy Plate based on Scalar Wave Biomagnetic Field research. The ABPA Sensor Vortex Energy Plate is used by placing it in the bottom of the "Output" well of either the ABPA A2 or AM3 Matrix Instruments. 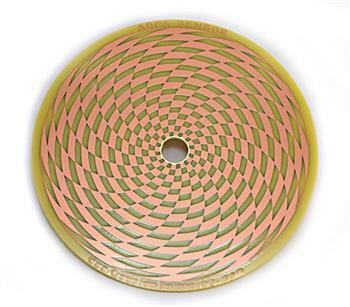 The ABPA SENSOR Vortex Energy Plate contains precisely designed copper tracings in the true "Sensor" pattern made popular by Dr. Patrick Flanagan in the 1970's and 1980's. Users report a dramatic increase in the output power and effectiveness of their ABPA instrument when using this Sensor Plate. Includes use guidelines. FREE Shipping in the contiguous USA. Ours exclusive! $39. A factory replacement for the LED Scan Cable that was originally included with a new A2 or AM3 Instrument Package. 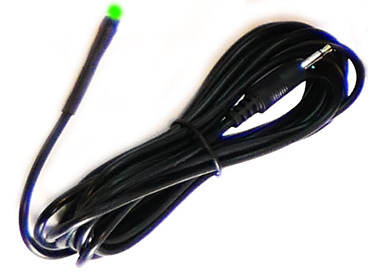 Perfectly replaces an LED Scan Cable that was lost or damaged.